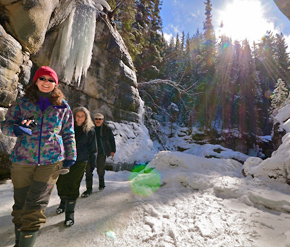 As we’ve said before, you can play outdoors to your hearts content in Banff, Canada and Banff National Park – the opportunities for outdoor recreation are endless. But we also have opportunities to indulge in more refined sports, such as tennis. But this is tennis Banff style: fresh mountain air and scenic splendor. Wimbledon may have the history and the reputation, but we have the Canadian Rockies. There are three different places to play tennis in Banff: the Fairmont Banff Springs Hotel, Banff Rocky Mountain Resort and the Banff Recreation Grounds. The Banff Springs Tennis facilities include five courts and a clubhouse. Tennis courts are available to rent on an hourly basis. 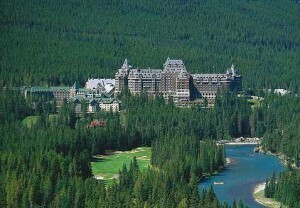 Arrangements must be made at the Willow Stream Spa in the Banff Springs Hotel, where equipment may also be rented. Among the amenities for this popular option for accommodations are two outdoor tennis courts, in addition to two squash courts, for those that prefer indoor racquet sports. 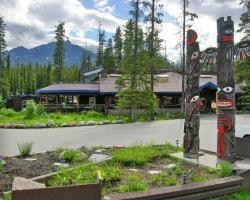 The Banff Recreation Grounds feature two concrete-topped public courts. There is no court fee, but courts are available on a first-come, first-served basis, and may be in use for community programs. 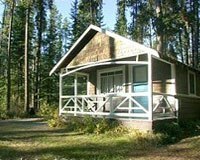 Nearby facilities include washrooms and picnic tables. Want to stay at the Banff Springs or Rocky Mountain Resort? 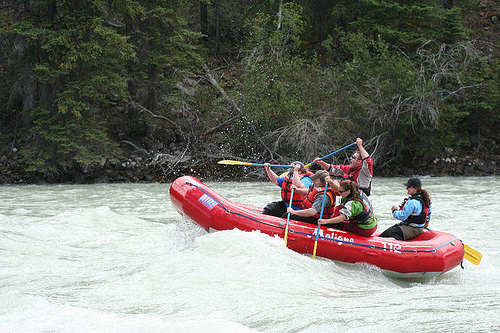 Click here for Banff National Park and Canadian Rockies hotel reservations.